People have so many unanswered questions and worries about Money and Life. Are you getting closer to them? Are you ready now to turn your current needs and abilities into true FINANCIAL FREEDOM? This little book is brief and clear. It boils down what I’ve been sharing (since 1995) helping people accelerate their wealth and financial comfort. Let me share this with you too — how to end or control debt, increase your income, find new sources of money, and create an overflowing wealth that surpasses your needs or desires. Are you anxious about DEBTS? Click for help! Wondering how to build true and lasting WEALTH? It’s here too. Asking about LIFE and CRITICAL ILLNESS INSURANCES — to pay you or your loved ones in case of cancer, heart disease, stroke …or even death? What about doing your WILL and Power of Attorney — or updating them? And if you need a real FINANCIAL ADVISOR how do you choose one who gives what you need at a cost you can afford (adding more value than the cost)? This book helps you with all this and more. Should I pay down DEBTS or build up my PENSION / RRSP? What opportunities have we been missing in Tax-Free Savings? How can we avoid losses & problems in a Family Inheritance? What next steps can quickly accelerate my financial success? 12 key lessons. 15 questions & answers. This is your Personal Finance 101. 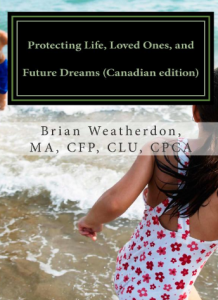 Graduate with this book for a clear pathway to personal wealth and financial success. Start enjoying the Life You Want for yourself and your family. Directly from Amazon (link) or reach me for a multiple order… In fact today I’m offering you a free download (e-book below). Advantage of hard-copy is that you’ll turn it into your personal workbook with handwritten notes that are absolutely unique to yourself. Share the opportunity with family and friends too. Worrying about debts and bills while trying to save $$? Seeking to expand a business or career, on your own or as a family? Could misfortune leave you on the scrap-heap if major illness hit you or your family? How would you describe true Success, personally, financially? Here’s the thing: life throws many curve balls, when it’s not actually dropping a mountain on our heads. Or it’s a mountain of money and you’re unsure how to keep it, and make it grow. Many people lack the basic truths and secrets of money — but this shouldn’t be YOU! Today’s risks are enormous. So think about this — how you want to THRIVE and get money to serve your life and personal values forever. If money fails to safeguard your life and future, then things keep getting harder. My service and the focus of this book, is to give you the results you want, to feel more fulfilled and vibrantly successful with each year and season. If you really need a hard-copy it’s on Amazon (or reach me directly) but now “FREE” you can DOWNLOAD THE E-BOOK IMMEDIATELY and accelerate your confidence and financial security. Once you’ve enjoyed the book you can repeat the gift by donating to any charity of your choice … and the tax-refund is yours! Plus: do you know someone who would appreciate this book today? Share it with them directly – give them the link or have us connect and send it to them. Also I’d like to know what part of this book has helped you – would you let me know? Reach me in person, by phone, or email.